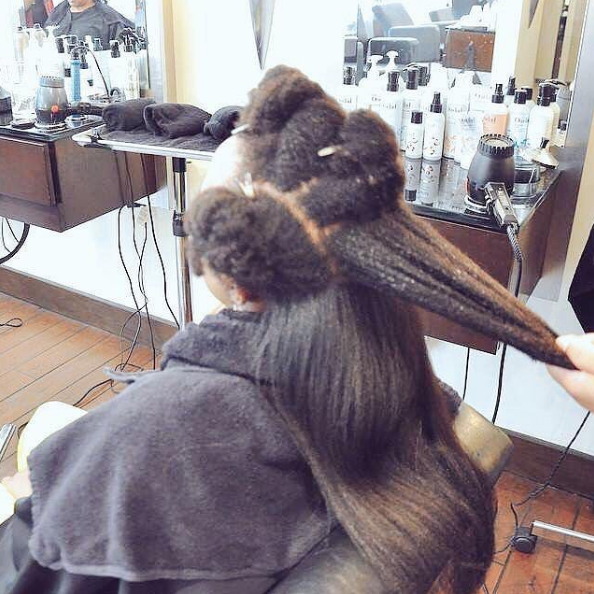 Shrinkage makes curly hair look shorter than its actual length. 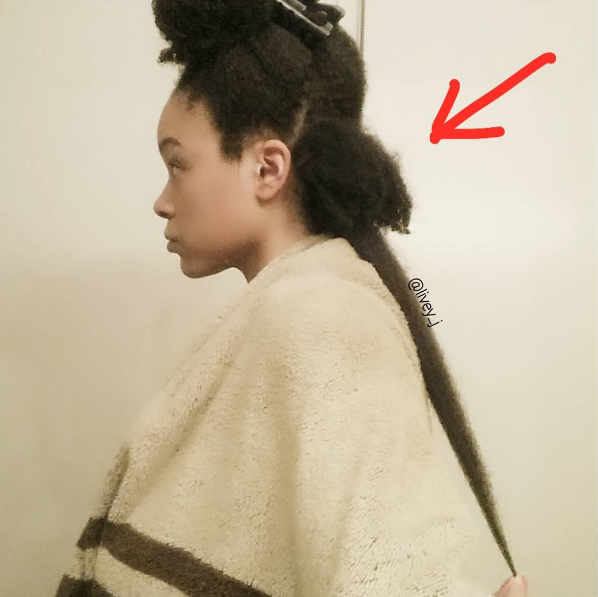 See here for a brief lesson on shrinkage. And we can look at pics of it alllll day, TBH. 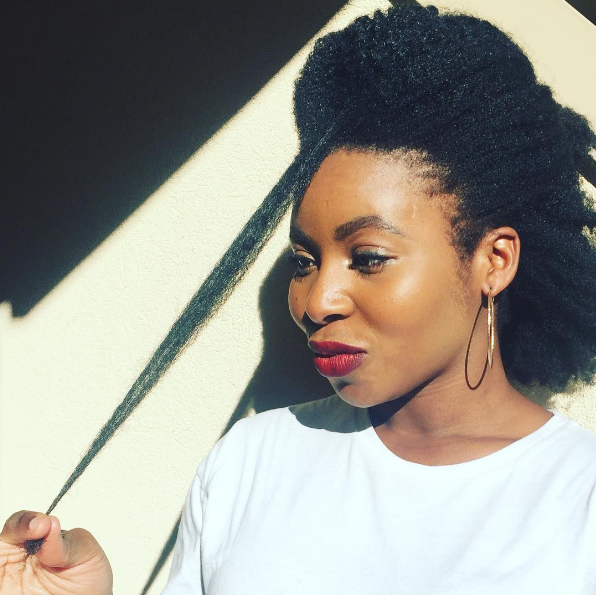 It’s so satisfying to see just how far this natural beauty’s curls can actually stretch. 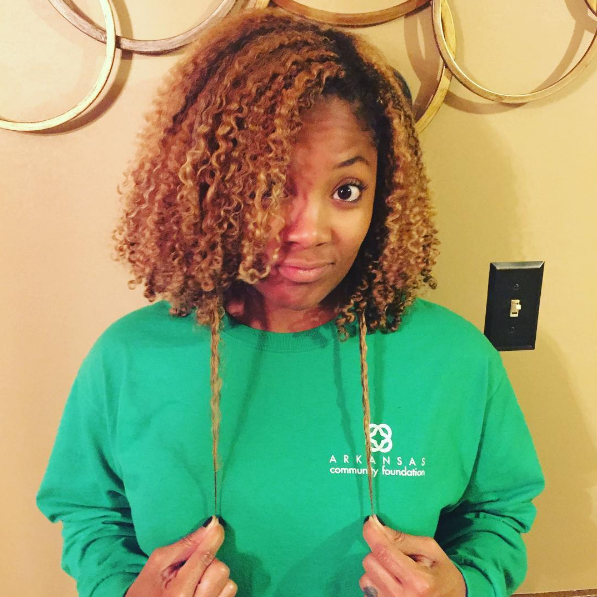 What looks shoulder length is really bra strap length, and it’s FREAKIN’ MAGICAL!